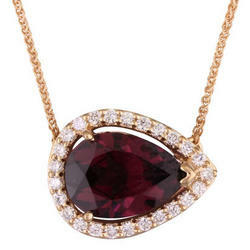 The American Gem Society has selected the garnet as the official birthstone of January. 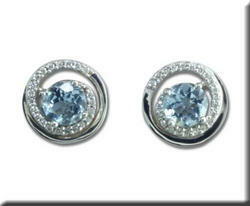 And here at Diana Jewelers in Liverpool, NY, we feel there is no gemstone more perfect for welcoming a whole new year. The garnet is a gemstone said to signify eternal trust and friendship. The word from which our modern day "garnet" is derived is the Latin granatum, which references a pomegranate seed. In fact, the pomegranate itself shares more in common with the garnet than its traditional rich red color. Pomegranates have been culturally prominent for centuries as a sign of prosperity and abundance. There are many gemstones that are thought to promote healing. Often, a specific gemstone will be lined to specific disorders or parts of the body. The garnet has been linked with friendship, love, romance and fertility as far back as the ancient Greeks and Egyptians. Some specific healing qualities attributed to garnets include these: promotes romantic love, passion, intimacy, sensuality, healing for the blood, heart, lungs. While a deep, vibrant burnished red color is the color most commonly associated with the gemstone known as "garnet," in actuality garnets are mineral-based gemstones that can take on many colors. - Pyrope. Color ranges from deep purple to a lighter red. Rhodolite is one of the most popular Pyrope derivative colors. - Almandine. Color ranges from a very bright red to a more orange-red tone. - Spessartine. Color spans the gamut of orange hues. - Andradite. Color ranges from green to yellow-green. Demantoid is a popular derivative of Andradite. - Grossular. Color can range from nearly clear to yellow, orange, red and bright green. Tsavorite and Hessonite are both derivatives of Grossular.